Keynote: Stop Communicating. Start Connecting. Achim Nowak is an internationally recognized authority on executive presence and interpersonal connections. His just published book Infectious: How to Connect Deeply and Unleash the Energetic Leader Within (Allworth Press, 2013) has been heralded by Fast Company, Forbes, Entrepreneur, and Publishers Weekly. His first book Power Speaking: The Art of the Exceptional Public Speaker has become an essential leadership development tool in Fortune 500 companies worldwide. Achim has coached hundreds of executives and entrepreneurs around the globe. Influens, the international training and coaching firm he founded in 2004, is based in South Florida. Influens integrates an extensive background in personal transformation techniques, conflict resolution, spiritual practice, and actor training to develop truly resonant leaders. Achim holds an M.A. in Organizational Psychology and International Relations from New York University. He served for over a decade on the faculty of New York University and has been a frequent speaker at other prominent universities and industry events. Achim and his work have also been featured on 60 Minutes, The Today Show, NPR, CNN, and in the award-winning documentary The Last Enemy. When he is not traveling or coaching, Achim enjoys the simple pleasures of the South Florida beach life. Technology allows us to communicate at a furious pace – yet we seem to know less and less how to connect. Deeply, profoundly connect. For anyone who wishes to succeed in business – whether you’re an entrepreneur building your own company or a professional in a large corporation – the ability to connect is vital, acclaimed performance coach Achim Nowak writes in his book Infectious: How to Connect Deeply and Unleash the Energetic Leader Within. Not just vital – essential, mission critical. Without it every one of us eventually hits the glass ceiling. Glass ceilings exist in nearly every aspect of business life. Connectability – the ease and consistency with which we connect with others – is the least talked about yet in many ways most daunting of these ceilings. In his talk, Nowak introduces us to his powerful Four Levels of Connection. Folks who connect deeply with others connect on four levels: They shape conversations with ease and invisible skill, and they play consciously with the unspoken elements of a connection – personal power, intent, and energy. The result? Infectious connections that accelerate personal success! 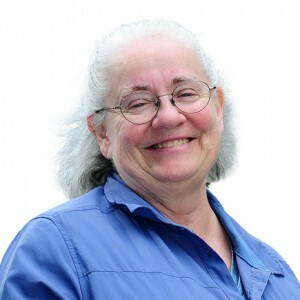 Mary Poppendieck started her career as a process control programmer, moved on to manage the IT department of a manufacturing plant, and then ended up in product development, where she was both product manager and department manager. After Mary left the corporate world in 1998, she found herself managing a government software project where she first encountered the word “waterfall.” When Mary compared her experience in successful software and product development to the prevailing opinions about how to manage software projects, she decided the time had come for a new paradigm. She wrote the award-winning book Lean Software Development to explain how the lean principles from manufacturing offer a better approach to software development. Over the past several years, Mary has found retirement elusive as she lectures, teaches classes, and writes books with her husband Tom. They are co-authors of three books on Lean Software Development and a fourth book on the Lean Mindset is on the way. A popular writer and speaker, Mary continues to bring fresh perspectives to the world of developing software-intensive products. Analysis is a good thing. Being slow and careful is wise. Rewarding people for performance makes perfect sense. Creating a plan and following it is the best way to get things done. And we should strive to be the best at whatever we do. When we adopt a rational mindset, we know these statements are true. But they aren’t the whole truth. Intuition is also a good thing. Being fast provides essential feedback. Purpose works better than incentives for engaging people. Probing a complex environment and adapting to its response is the safest approach to change. And being the best can get in the way of getting even better. When we adopt a responsive mindset, we feel these things are terribly important. So which mindset is right? For a long time, successful western companies have been biased in favor of a rational mindset, while the responsive mindset fell out of favor. But in the last few years, companies with a responsive mindset seem to be doing surprisingly well; in fact, many companies have attempted to move toward a more responsive mindset in order to become more competitive. But abandoning a rational mindset is not necessarily a good idea – a “both-and” approach is far better than an “either-or” approach. It’s best to combine our two opposing mindsets into a single perspective, a lean mindset. In this talk you will learn what a lean mindset is, how other companies have exposed and resolved paradoxes, and how this has helped them compete more effectively in today’s fast moving marketplace. Ken Schwaber co-developed the Scrum process with Jeff Sutherland in the early 1990s to help organizations struggling with complex development projects. One of the signatories to the Agile Manifesto in 2001, he subsequently founded the AgileAlliance and ScrumAlliance. He founded Scrum.org, to focus purely on improving the software development profession. A 30-year veteran of the software development industry (from bottle washer to boss), he has written three books about Scrum: Agile Software Development with Scrum, Agile Project Management with Scrum, and The Enterprise and Scrum. In 2012, he released Software in 30 Days, which he co-authored with Jeff Sutherland. He lives in Lexington, Massachusetts with his family. Agility has never been easier. Books were written, speeches were given, and consulting was provided (for a hefty fee). However, persistent agility remained elusive. John Kotter estimated that only 30% of organizations succeed in persistent change. Now, however, solutions are in sight. One, SAFe seems easy, something that can be bought, and is familiar to those who used RUP. The other, Agility Path (Continuous Improvement Framework), is more of a continuous improvement framework that requires work. Which is right for you, and what is entailed? Scott W. Ambler is the Senior Consulting Partner of Scott Ambler + Associates, working with organizations around the world to help them to improve their software processes. He provides training, coaching, and mentoring in disciplined agile and lean strategies at both the project and organizational level. Scott is the founder of the Agile Modeling (AM), Agile Data (AD), Disciplined Agile Delivery (DAD), and Enterprise Unified Process (EUP) methodologies. He is the (co-)author of twenty one books, including Disciplined Agile Delivery, Refactoring Databases, Agile Modeling, Agile Database Techniques, The Object Primer 3rd Edition, and The Enterprise Unified Process. Scott is a senior contributing editor with Dr. Dobb’s Journal and he blogs about DAD at DisciplinedAgileDelivery.com. Scott is also a Founding Member of the Disciplined Agile Consortium (DAC), the certification body for disciplined agile. He can be reached at scott [at] scottambler.com. The Disciplined Agile Delivery (DAD) process decision framework is a hybrid which adopts proven strategies from Scrum, XP, Agile Modeling, Outside In Development, Lean/Kanban, DevOps, and others in a disciplined manner. DAD provides goal-driven, tailorable advice for the full solution delivery lifecycle that goes beyond the software-construction focus of other agile methods. Because delivery teams do not work in a vacuum DAD is enterprise aware, showing how agile teams can leverage and enhance their existing IT ecosystem in a governable manner. DAD is at the forefront of the new generation of agile/lean methods for the enterprise. What the Disciplined Agile Delivery (DAD) framework is. Why a hybrid approach is necessary for enterprise development. How to take a goal-driven, instead of prescriptive, approach. Why a full delivery lifecycle is required and what your options actually. What complexity factors you need to consider when scaling and tailoring DAD. What it means to be enterprise aware. Talk: Kanban. Isn't it Just Common Sense? Karl Scotland is a versatile software practitioner with over 15 years of experience covering development, project management, team leadership, coaching and training. For the last 10 years he has been successfully applying Agile methods, and most recently has been a pioneer and advocate of using Kanban Systems for software development. Currently an Agile Coach with Rally Software in the UK, Karl is a founding member of the Lean Systems Society and the Limited WIP Society, and has previously championed Agile and Lean Thinking with the BBC, Yahoo! and EMC Consulting. Karl writes about his latest ideas on his blog. Karl is a Certified ScrumMaster, Lean and Agile Coach, Kanban Coaching Professional, Accredited Kanban Trainer. Kanban: Isn’t it Just Common Sense? Many problems we are trying to solve in software and product development are complex, with no obvious solution. As a result it is not possible or appropriate to simply define and follow best or good practice. Instead me must think in terms of heuristics to discover contextual solutions. I will describe how we can use Kanban as a set of heuristics to learn what those solutions are. Suzanne Daigle is a business strategist specializing in Open Space Technology, a high engagement process that powerfully unleashes individual and collective leadership and ignites possibilities for transformational change while delivering extraordinary results. As an Open Space practitioner, Suzanne has facilitated and co-facilitated many large (300+) and smaller (20 -50) group gatherings in Canada and the United States, in business, arts & culture, with scientists, technology groups, media, education and community. She loves facilitating Open Space, most especially partnering with the Scrum, Agile and technology communities which she has done at events held in Arizona (Scrum beyond Software Open Space) and Florida (Agile and Scrum Alliance conferences). According to her, many in the technology world have been leading the way on large system change using high performing execution models and shared leadership people strategies. The world of work is changing and there is much that we could learn from our technology colleagues, says Suzanne. Open Space is a perfect avenue to make that happen. Suzanne is one of the founding partners of NuFocus Strategic Group, a full-service business consulting firm, headquartered in Moncton, New Brunswick providing services to clients in Canada and the US. She is also President of Open Space Institute US and leading the host team for the World Open Space 2013 in St. Petersburg Fl. Open Space is an approach for hosting meetings, conferences and community events. We use open space to provide the community a platform to discuss the most relevant and pressing issues related to Agile at that very moment. Every participant is invited to convene a session but you can also participate in someone else’s session or simply browse around. The agenda of the Open Space will be defined with the creation of the marketplace when we kick it off. Therefore we can’t reveal the topics here in this program upfront. We can tell you however, that the program will be packed with amazing topics, too difficult to choose one over the other. Open Space has a long tradition with Agile NYC, going back to our first Agile Day in 2010. Every Open Space received raves reviews and most feedback. Last year we had Harrison Owen, creator of Open Space, speak at the Agile Day and participate in the Open Space. A truly uplifting and engaging experience and we are sure that this year’s open space will not be different. All of our speakers presenting in the morning, will join this Open Space event as well. Jim Nuttle works withs a variety of corporate and non-profit companies across the country as an active participant in workshops, conferences, ideation and brainstorming sessions. Working “live”, my drawings engage the participants and stimulate discussion, while at the same time providing an ongoing visual record of the event. Located in Washington D.C. area for much of his career as a graphic designer and illustrator, Jim has worked with a number of non-profits, associations, schools and federal agencies, particularly in the areas of health care, finance, telecommunications and education. His illustration work has appeared in the variety of publications and news outlets, with an emphasis on editorial work. This background has given him the ability to quickly visualize complex concepts in a way that is easily understand by any audience. Combined with good listening skills, natural curiosity and a dry sense of humor, Jim’s work makes for engaging and memorable images.